We had a gorgeous weekend and I was able to spend some time in the garden. Some cleanup, some weeding, some planting. And some planning. Great way to spend the weekend! 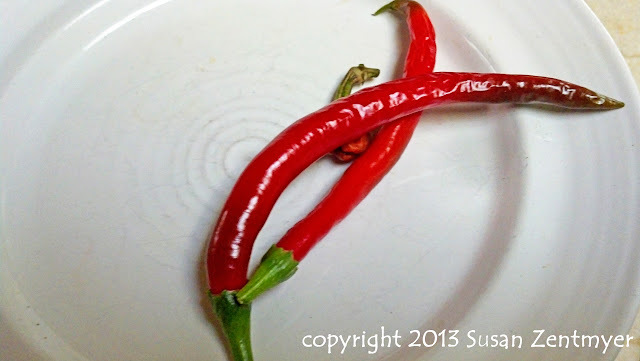 On to the harvest: Still growing - peppers! 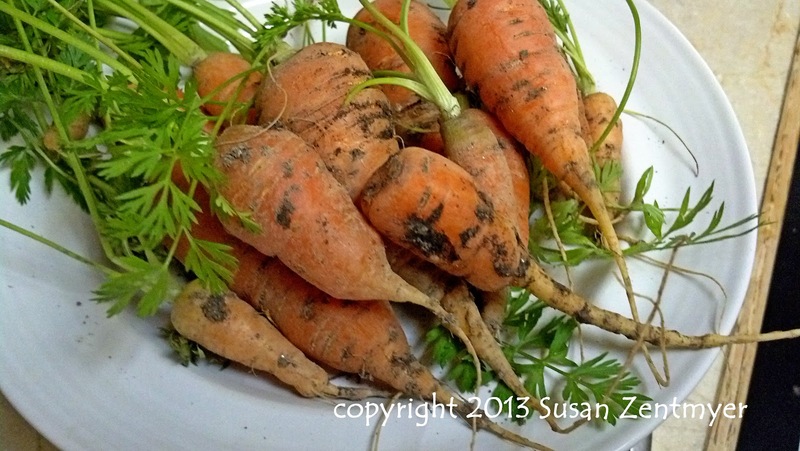 Lots of carrots left. I'm hoping eventually they'll grow bigger. They taste wonderful though! 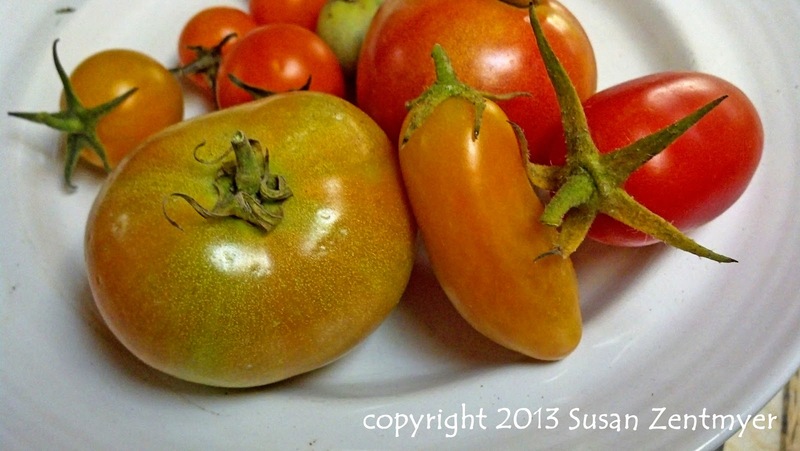 Tomatoes. Still flowering, still growing. And lots of peas. Every couple of days. Fabulous! And a lovely crop of Meyer lemons. So fragrant and tasty! I spent some time zesting and juicing them, to save that taste for later. This week's harvest was just over 7 pounds. Good start for the season! Linked up with Daphne's Dandelions Harvest Monday... hop on over and see what else is being picked this week. oooh! Lemons and peas! Lucky you having such yummy things in your harvest this week. 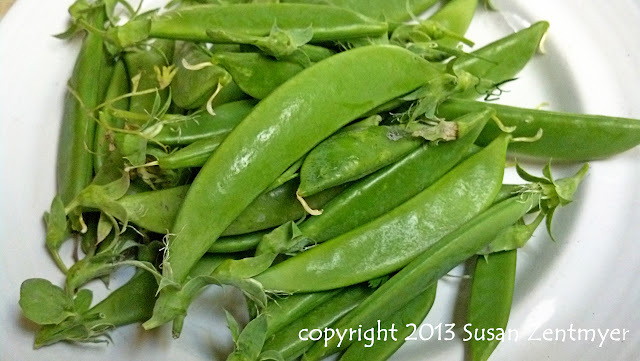 I miss the snap peas something fierce and can hardly wait for the spring crop to go in. 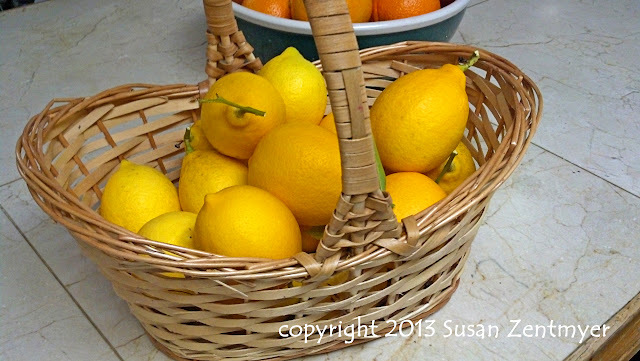 Hello there..i am in the northeast..so envious of your garden really..citrus in winter..crazy..
Oh lucky you! What a great harvest for this time of year. Here, winter has finally decided to put in an appearance and it's snowing. Tuesday's Table - Time for Spring!